Mushers are charging for the woodsy Rohn checkpoint tonight as a mix of veteran frontrunners at the head of the pack. Rookie Jessie Holmes was the first racer to leave Rainy Pass (Mile 153), according to checkpoint standings, but the Iditarod GPS tracker shows he appeared to rest after the checkpoint. Wade Marrs – who was first to the Bering Sea coast in the 2017 race — Ryan Redington, Nicolas Petit and defending winner Mitch Seavey were all leading the field of 67 mushers late Monday. Many of the mushers now at the front of the pack rested for three to five hours at the Rainy Pass checkpoint before beginning the 35-mile trek to Rohn. Nicolas Petit marked the fastest time en route to Rainy, followed by defending winner Mitch Seavey. "It was soft after Skwentna for a minute because there was friends on snowmachines thinking it's fun to see me mush," Petit told Iditarod Insider. "Every time you get passed by a snowmachine, it happens to slow you down some." The trail into Rainy Pass was slightly longer and steeper than in years past, he said. Defending champ Mitch Seavey has joined Ray Redington Jr. and Girdwood rabbit Nicolas Petit in Rainy Pass (Mile 153) at the front of Iditarod 2018. 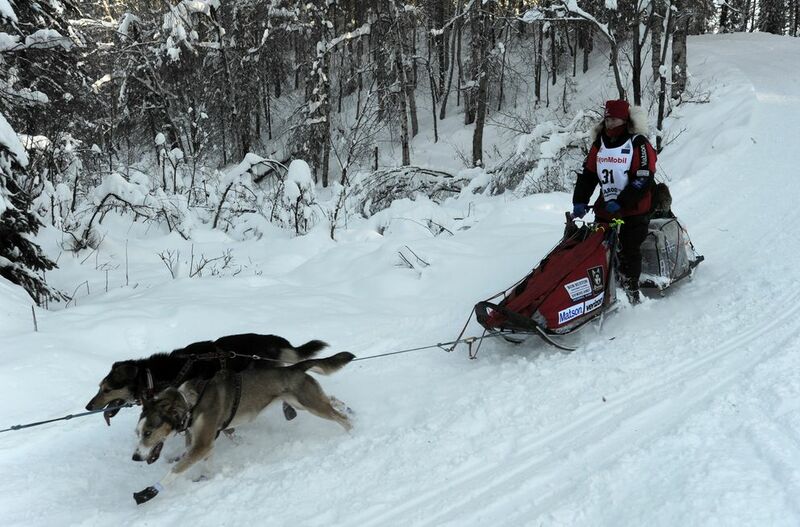 Mushers like to say that positioning isn't important this early in the race, but Seavey doesn't appear to be wasting any time as he begins pursuit of a fourth title. He won the race in 2013, the last time the Iditarod traveled on this southern route, and was fastest that year into Rainy Pass with a time of 3 hours and 20 minutes en route from the previous checkpoint of Finger Lake. He was just a minute slower today, with Petit arriving with an even faster average speed in third place. Redington (No. 17) was first to arrive at 10:16 a.m. Seavey (No. 13) followed just three minutes later. Petit (No. 46) arrived at 10:55 a.m. Already, one musher is out of the 2018 Iditarod Trail Sled Dog Race. Zoya DeNure, 41, scratched at 7:49 a.m. Monday in the Skwentna checkpoint, citing "personal health reasons." DeNure has finished the race twice in seven attempts. 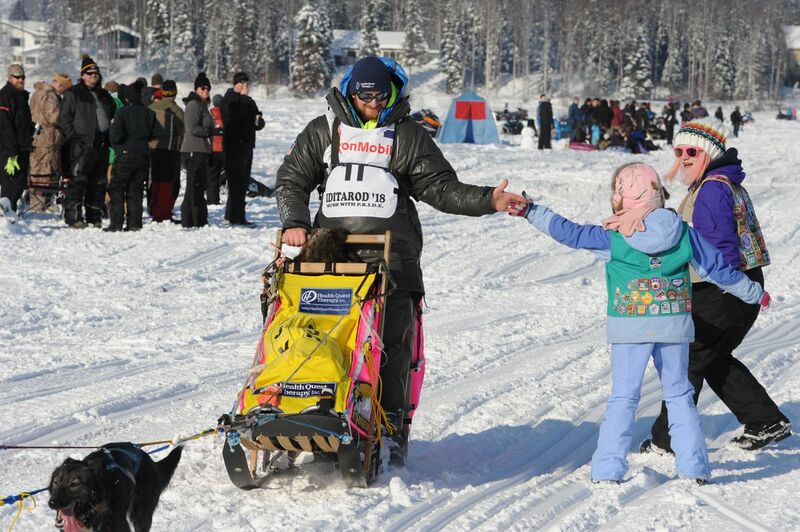 Mushers began leaving Willow in 2-minute intervals at 2 p.m. Sunday and are focused on avoiding mishaps and injuries in the early hours of the 1,000-mile race to Nome. Racers said they were relieved to hit the trail after a controversial off-season.